Countdown to Spring Training: 5 Days – Chapman Not Starting? At that point, Baker interrupted and said, “Maybe. That’s a maybe. It’s the same situation as last year. We started with Chapman as a starter. Then Ryan Madson (closer) went down. We had no clue Chapman would be as good as he is as a closer. I don’t think anybody did. While this does make him more difficult to rank and project for 2013, it doesn’t really hurt his fantasy value. If anything, it’s a boon to it because unless he pulls a Chris Sale in the rotation, he is far more valuable to fantasy managers as a closer, especially at his current cost. In current NFBC mock draft data, Chapman is going 83rd overall whereas the unanimous #1 closer Craig Kimbrel is going 49th. It is only unanimous because we’ve been led to believe that Chapman is set to be Cincy’s 4th or 5th starter. If he ends closing again, he’s right there with Kimbrel and all of sudden becomes a huge value for those who are getting him at 84 or later. Meanwhile, if they get a full-time starter who isn’t Sale 2.0 or better, then they vastly overpaid. Stay tuned as I’m sure we will learn much more in the coming month. Chris Capuano (NYM v. FLO) – Remember the days when a 4.12 ERA on the waiver wire would be a godsend and an auto-pickup? Ah, the mid-2000s. Now it yields a 91 ERA+ and barely gets a second look, but Capuano has been pretty strong since his rough April during which he posted a 6.04 ERA in 25 innings. Three blowup starts out of 13 since are what keeps him from better overall numbers, well that and the fact that he had to chisel away on a 6.04 in the first place. He has a 3.49 ERA in 77 innings since April 29th with an 8.0 K/9 making worth a look against Florida. TUESDAY: Let us mourn the loss of Tim Stauffer from waiver wires everywhere as his ownership rate has climbed to 83% in CBS, 74% in ESPN and 62% in Yahoo! leagues. Honestly, that is still too low, but he is on too many teams to be considering for Trolling the Wire until further notice. Rubby de la Rosa (LAD @ SF) – If you have been reading the content here for a while then you know I am a big fan of this kid. He has thrown 96 total innings this year between AA and MLB compared to 110 last year and while the Dodgers haven’t said much about a potential innings limit, there is speculation that he won’t go much beyond 130-140 especially considering he has made the jump from AA, albeit successfully. That has little bearing on this upcoming start, but if you are in a re-draft league then you might consider flipping de la Rosa as soon as possible. You might find someone willing to bite. In the meantime, enjoy his strikeout per inning and incredible potential. Aaron Harang (SD @ FLO) – The crafty vet has been great since returning from the disabled list (13 shutout innings) and since his ERA peaked at 5.05 after a disastrous outing in Colorado on May 14th (7 ER in 4.3 IP), Harang has been excellent toting a modest 1.35 ERA in 47 innings with 6.3 K/9 and 2.4 K/BB rates though just a 2-0 record thanks to woefully inept offense “supporting” him. While he is better in Petco Park, he isn’t a Petco-only and thus looks like a nice start in Florida. Ryan Dempster (CHC v. PHI) – When you enter June with a 6.00 ERA and proceed to damage it further in your first start (6 ER in 5 IP pushing it to 6.32), you can have a lot of good work go unnoticed because of the massive hole that has been dug. That is the case with Dempster. Since that June 3rd start, he has a 1.99 ERA and 1.10 WHIP in 45 innings spanning seven starts along with 8.8 K/9 and 3.7 K/BB rates. Dempster is still available in over 50% of ESPN while CBS (83%) and Yahoo! (69%) leagues are more keen to his recent hot streak. Derek Holland (TEX @ LAA) – Back-to-back shutouts earns you a look even if Holland’s came against the A’s and Mariners. He has allowed just nine hits with 15 strikeouts and three walks against the two offensively-starved teams. The Angels are hardly a powerhouse so let’s ride Holland’s hot streak. Javier Vazquez (FLO v. SD) – Speaking of a hot streak, Vazquez has been white-hot the last month yet few are noticing as his season ERA is still sitting at a ghastly 5.14 in 103 innings. Alas, he has a 1.69 ERA and 1.07 WHIP in his last 37 innings since June 16th with 7.1 K/9 and 9.7 (!) K/BB rates. You read right, he has 29 strikeouts and just three walks during his run. This run would earn a look against most teams, but it becomes a no-brainer against the lowly Padres. Jonathon Niese (NYM v. STL) – He has been a favorite for Trolling appearing five times with mixed results (3.72 ERA, 1.44 WHIP, 21 K, 9 BB & 2 W in 29 IP), but he has been really strong the last two months with a 2.83 ERA, 1.24 WHIP, 8.5 K/9, 3.9 K/BB and seven wins in 70 innings (11 starts). He is on teams in 68% of CBS leagues, but just 35% and 13% in Yahoo! and ESPN, respectively. Cory Luebke (SD @ PHI) – Still undervalued & still dominating. 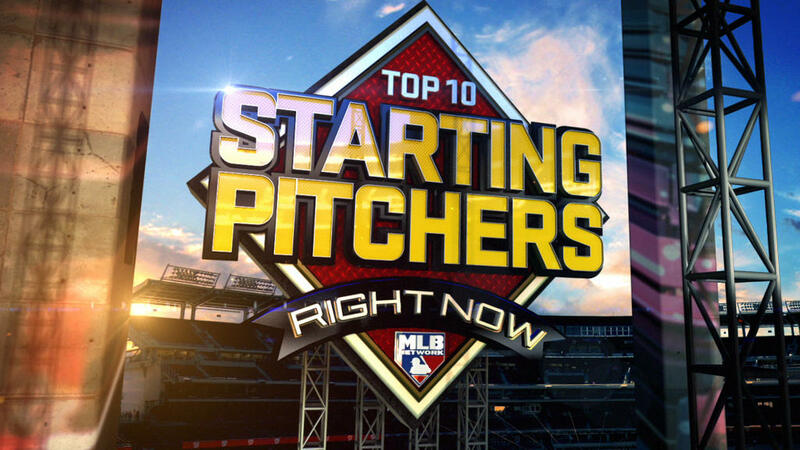 He has been incredible in three July starts for Trolling readers with a 1.89 ERA and 20 Ks in 19 innings and I am going to keep him on this list until he is no longer widely available. Essentially, he has filled the Stauffer role. 10. Kevin Slowey – Without a spot in the rotation his value is going to plummet, but it’s a buying opportunity. Don’t draft solely for April. It’s a 6-month grind and skills almost always win out. Slowey has more talent than Nick Blackburn and Brian Duensing, but to start the season both will have rotation spots while Slowey will work out of the bullpen. Slowey will be an afterthought even in AL-Only leagues and I would be more than willing to slot in him as your 8th or 9th pitcher for a few bucks and wait for him to win a spot that he deserves. A 4.6 K/BB rate doesn’t lie. He’s long been one of my favorite pitchers and a poor decision by Minnesota at the beginning of the season isn’t going to change that. 11. Tim Stauffer – The former #4 pick overall took a while (29 y/o in 2011), but it looks like he’s finally paying dividends on that lofty draft status. He plays in the perfect park for pitchers, showed a major uptick in groundballs last year (up to 55%) and has seen his team add strong middle infielders (Jason Bartlett & Orlando Hudson) to field those grounders adding up to a potential breakout season. There is a slight premium on anyone in PETCO for obvious reasons, but Stauffer seems to be firmly entrenched off the radar in most standard drafts. He went for $8 in NL Tout Wars and could easily return twice that when you consider what PETCO did for someone with lesser skills than Stauffer in Jon Garland. 12. Chris Narveson – His near-5.00 ERA from 2010 (4.99 in 168 IP) is sure to scare most away, but he pitched much better than that. He doesn’t have the groundball tilt I usually like out of my pitchers, but with Milwaukee’s horrendous infield defense, that might not be such a bad thing. He has nice base skills, the next step is learning to work with runners on so he can strand a few more guys. Part of that is cutting down the long balls, too. I think he takes a step forward in 2011 and ends up as one of those $1-3 glue guys instrumental in a team’s success. 13. Bud Norris – Like Narveson, his skills were better than his 4.92 ERA indicates, but many will pass based on that figure and the team name on his jersey. I’d caution strongly against that as Norris has the kind of stuff that “out-of-nowhere” seasons are made of starting with his 9.3 K/9 rate being overshadowed by unimportant factors. Are you one of those owners dying for an upside pick? Norris is your guy. The lofty strikeout rate is matched with an average groundball rate and a BABIP and LOB% combo worse than league norms that could be in for positive regression. Even if he doesn’t take that major step forward this year, his sub-$5 price tag is at worst an even investment with all of the strikeouts. 14. Carlos Carrasco – We could have a budding Sporer Trifecta of Excellence (patent pending) profile on our hands. It was only 45 innings of work last year, so temper the expectations a bit, but he had a 7.7 K/9 with an elite 57% groundball rate and his changeup was the best pitch in his arsenal. This is a 3-time top 54 prospect (2007: 41, 2008: 54, 2009: 52) according to Baseball America so the pedigree is there, too. Like Norris, his jersey will have some shying away or ignoring him completely, but his first full season in the majors could be a big one. 15. Derek Holland – It seems like I have been touting Holland for so long that he should be older than 24. Alas, he doesn’t even have 200 major league innings under his belt yet here I am again espousing the virtues of this man’s abilities. He started to come together in a 57-inning sample last year, but the loss of Cliff Lee opens an opportunity for him to finally prove it over a full season. Although the sample was tiny, it was nice to see him greatly improve on 2009’s ugly 1.7 HR/9 down to 0.9 a season ago. That’s about the limit for him if he is to have that breakthrough season many see as a possibility. He’s one of those popular sleepers so be careful if his value gets too high in your league. 16. Jason Hammel – Similar to several guys on the list whereby he has above average base skills, but is missing one ingredient that keeps him from legitimate success. For Hammel, it’s an ability to work with runners on as he his LOB% actually got further from league average 2010 leaving him with an ERA a half run higher despite improved skills. You could easily be looking at $10+ profit out of Hammel if leaves a few extra men on base and continues or improves his already impressive skill set. 17. Chris Tillman – Remember when Tillman was the 22nd-ranked prospect in all of baseball? It was alllll the way back in 2009. He then proceeded to dominate AAA for 97 innings posting a 2.70 ERA and 1.15 WHIP with 9.2 K/9 and a 3.8 K/BB. Later that season he was knocked around in 12 starts in his major league debut resulting in an ugly 5.40 ERA and 1.55 WHIP. The skills were nothing like his minor league pedigree at 5.4 K/9 and 1.6 K/BB. It was essentially rinse & repeat for 2010 with 121 strong innings at AAA then 54 ugly ones in the majors. He turns 23 on Tax Day this year. Too often the fantasy community gives up on top prospects if they don’t set the world afire right away a la Ryan Braun or Jered Weaver. This is a post-hype play going for as little as a dollar in some AL-Only leagues who could end up as a tremendous keeper for 2012 and beyond. Worst case is he is still not ready in 2011 and you cut bait with little invested. 18. Ross Detwiler – This is my biggest spec play of the bunch. I just think there could be something here with Detwiler. He has 278 innings of minor league success suggesting he is better than the 106 innings of major league work thus far. He is the left-handed Tillman with less fanfare and a few years older (OK, I guess there are a enough differences to make that a bad comp). Point being he showed enough in the minors to be something of a top prospect and though he hasn’t put it all together at the major league level yet, there is reason to believe he still can and will. Furthering his spec play status is the fact that he’s not going to have a rotation spot on Opening Day, but the four surrounding Jordan Zimmermann are neither bastions of health, nor particularly skilled at pitching so he will get a shot at some point. If he doesn’t win a bullpen spot, just monitor him. But if he does make the team out of camp, he could be a high strikeout $1 reliever as he bides his time for a rotation chance. So there they are, my favorite 18 for 2011. There is something in here for everyone regardless of what kind of league format you play in. I guess the only thing missing is minor league prospects, but I posted 50 from each league just a few weeks ago, so you know who I like there. I know it’s a big draft/auction week for everybody so I’m trying to get as much material out as possible for your last minute prep. I have a draft tonight, but hopefully I can get another piece up shortly after it finishes.